Although iPhone 6s (iPhone 7) won't arrive until this September, the upcoming Apple's WWDC 2015 has already lighted the rumors about it. 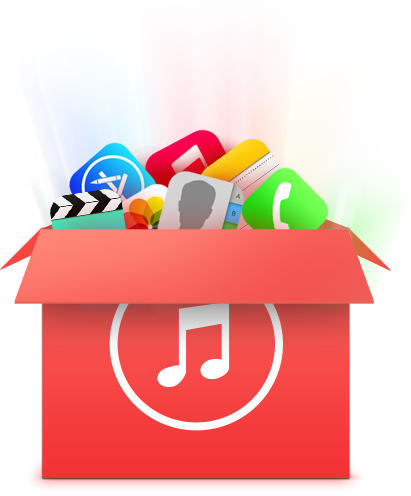 If you are ready for the new generation of iPhone, don't forget to migrate your beloved music, photo, contacts, messages, apps, etc., almost everything from your old iPhone to the new one. In this case, most people choose to backup/restore their iPhones iPads with iTunes, however, from the discussion of many Apple-related forums and some authoritative articles, we found backing up/restoring data via iTunes isn't such a simple and perfect way that we thought. iTunes says this device isn't eligible for the request build of my iPod touch 4. what should I do? How do I fix this? Everything was working fine until I just downloaded and installed the new iTunes. Now the program won't recognize any of the Apple device? I want to back up my iPhone 5s before I updating to the latest iOS 8.3. What can I do now? I am running into a problem when restoring the iPhone from backup in iTunes. It told me, iTunes could not restore the iPhone, because not enough free space is available on the iPhone. What's wrong with my iPhone and how to solve it? Upon trying to back-up my iPhone to a MacBook pro, I'm getting an error message saying that I do not have enough free space on Mac. After emptying my trash and checking my available HD space, it shows that I have over 100gb left. But it didn't work either. Is anyone else having this problem? Any suggestions? iTunes could not back up iPhone because the backup could not be saved on the computer. I've looked into the support forums and it says deleting existing backups as they may be corrupt or not compatible. I've done this and it still does not back up the phone. I just get the aforementioned error message." When I trying to restore my iPhone with the iPhone backup, iTunes ask me to enter the backup password to unlock my iPhone backup. I have tried lots of passwords, but none of them are correct. I forgot the iTunes backup password! What can I do?